Below you can find the most asked questions ( FAQ ) about DSH exam? DSH courses, dates, examples, universities. 1.Where can I take a DSH exam? DSH exam is offered by many universities. Which universities exactly organize this examination, you can find here. However, a DSH language certificate is accepted by most universities in Germany. 2. How often does a DSH-exam take place? Each university decides for itself how often they offer a DSH exam. Some universities offer the exam 1, 2 times a year, others – 4 times a year. Please contact your desired university for more information. 3. What are the requirements for an admission to a DSH exam? A common requirement for registering a DSH exam is C1 certificate from a language school. 4. Do I need an university admission in order to get a place and take DSH exam? This depends on the university. Some universities do not offer the DSH exam to external participants. In this case, you should consider applying at the university for a degree and get university admission from there, in order to get enrolled in the DSH exam. Eventually, you will get an invitation and you are obligated to take the exam there. However, a lot of universities offer the DSH exam to external participants. This means, that you do not need an admission letter from the university, where you want to take the DSH exam. 5. How often can I repeat a DSH exam? You can repeat the exam as often as you want. 6. How much does a DSH exam cost? Each university defines ist DSH examination fees. Currently a DSH exam can cost you from 70,00 to 150,00 Euro. 7. I have DSH-1, DSH-2 or DSH-3? What does that mean? DSH-1 is equivalent to 57-67%. 8. What grade do I need in order to get enrolled at a German university? Almost all universities require a DSH-2 or DSH-3 for enrolling applicants. Universitäten ist das DSH-2 Zeugnis die Voraussetzung. Some universities make an exception for applicants in technical degrees. If you want to study law or medicine, you will need in the most cases DSH-3. 9. Do I have to take the DSH exam at the university, where i want to study? No. Wherever you take your DSH exam, you will get a certificate, that will be accepted at every German university. 10. How long does the preparation for DSH exam take? If you start now with A1 Level, you need around one year to successfully pass the exam. In most cases it depends on you and the praparatory program, that you entered. Here you can find language schools and institutes, that offer DSH-preparation. Some of them have very intensive courses, so that you can take and pass successfully DSH-exam as soon as possible. It is important to check the type of the program of the school, where you want to register. 11. How is DSH exam structured? Every DSH exam contains written and oral part. Both parts take place on different days. Firstly, there is the written examination. Only participants, that pass this part, are allowed to the oral examination. 12. Do I have to pass both written and oral examination? Yes, you need to pass both parts, in order to get a DSH certificate. 13. How can I calculate my DSH result? 14. Is a DSH certificate accepted by all German universities? Exept the University of Stuttgart, all other universities accept the DSH certificate. 15. How long is a DSH certificate valid? After you get your DSH certificate you have two years to use it for enrolling at a university. 16. What should I do when I pass the exam? When you get your DSH certificate and have already an university admission letter, you can start your degree. 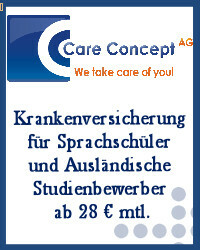 In case your school certificates are not accepted in Germany, you need to enroll university preparatory course at first. After you pass the assessment test (Feststellungsprüfung) you will be allowed to apply at a german university.